Closing a project brings happy moments but it is very dominant step. In website development terms, it is the phase where you will furnish the helm of the client’s long awaited new online presence. There are few activities a project manager need to check whenever he/she going to close a project. 3. Recommend project closure Preparation of planned closure:- Whenever a project manager prepares for planned closure then the very first thing is to check that site development has finished and working as it should be. There must be an internal quality assurance test before client sees the final view to make sure that all functions are working properly. Cross Browser Test:- A website is never built for a particular browser; it should work on all major browser like Google Chrome, Mozilla Firefox, Internet Explorer. Responsive Website:- A website must always responsive for better performance. A website must be always compatible for all devices (mobile, desktop, tablet). 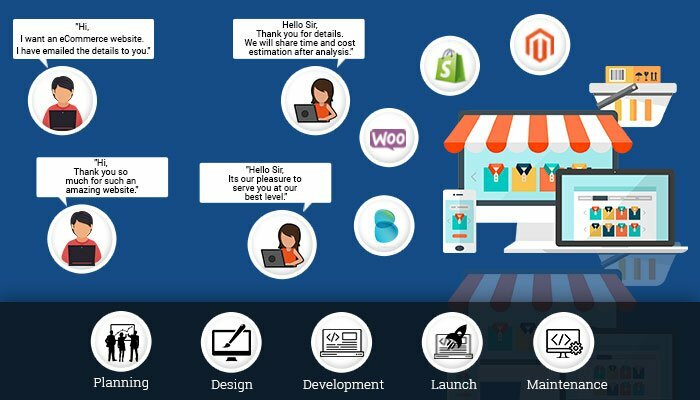 Contact Form:- Contact forms are most important part of the website for interaction between site owner and visitor, if it is not an ecommerce website. It should be checked that all the forms are working properly. Transaction Testing:- If website is an eCommerce website then its only purpose is to drive sale. For the successful implementation, there should be a transaction test for payment gateway and to check notifications are sent for purchase, invoice generation and payment is happening successfully. Project Evaluation:- A project never begins without proper planning and resources, and same scenario also occurs in the case of project closure. An effective and proper planning can smooth the closure and as well as prohibit the future risk. If you do not evaluate the project before closing, then you may enter the realm of dealing with dissatisfy consumer after launch of site. Compare initial specifications with finalized specifications:- You are going to face change management anyhow with the project. Here, Change management means different from original requirement/specification. The ultimate way of change management is that all team members/leaders raise their issues before project manager whenever they arise so PM can negotiate the appropriate fallback. As long as issues are confabulated potentially with clientele, their acceptance criteria can be flexible and waiver from their actual expectations as they perceive that few things are not just possible and they need to try alternative ways. If you make without letting client know then you may face the risk of dispute with client and saying that “This is not what I paid for”. Once the changes are approved from the client, project manager should update the specifications, and it will also affect the timescale and cost of project. Once the project complete client will find that actual results are different than expected results, but still he/she would love to accept the project because of the transparency and honesty. Add to Lesson Log:- Many companies keep the lesson log to learn from previous experience. Whenever change happens it means that we could not achieve actual results, and this describes a lesson to be learned. These lessons will make able to foresee the risk and facilitate you to make alternate fallback prior to risk arise. Review Approved Changes:- A lesson is not always about the change made in the project. A lesson can also be from a muff, it means there can be some task which could have done better. So these lessons will inspire in future that you can do better. Create the document of problem and what was the solution, and how it could be done in better way. Check for bugs after migration:- There should a final testing after delivery of project. Because sometime things are different at live site than test site like images, links etc., so fixing these issues will smooth the site and most importantly client will be happy. Project Closure Recommendation:- After completion of site development Project Manager should recommend his/her high authority before closing any project. There are still few tasks after closing project need to be taken care. Backup of website:- After closure of project, archive all the documents used throughout the project duration and send to the client. Take backup of all files and theme folder as well for future purposes; even I would like to recommend taking backup on regular basis to prevent undetermined errors. Project Sign-off Document:- Project sign-off sounds little important to them who are unaware of legal activities, but this is vital part of project. There must be digitally signed document for closure of project including terms & conditions, it defend both client and company. Testimonial and Satisfaction Experience:- Always ask for the testimonial and their satisfaction experience about the project after website launch. This will improve the trust for the new clients and also drive new clients’ basis on the testimonial. We expect this blog will help you understand the importance of these points which you must verify before closing any project and it will reduce the risk of stuck in legal liability.